United Locksmith staffs trained professionals that can assess the locks and inform you of the services that you may need. You don’t need to have any prior knowledge on the lock products. A history of the services provided would be helpful but not needed. No! United Locksmith takes every precaution to make sure that your safe’s valuables remain unharmed during the process of opening the safe. If there are fragile items in the safe, it may be a good idea to let the technician know beforehand just in case. United Locksmith offers a variety of commercial locksmith services, and prices are based off the type of work required. All standard service calls are priced at $15; business/office lockouts start at $35; the price of mailbox/cabinet change has a starting cost of $35; new lock installation pricing begins at $35; new lock installation prices also start at $35; and pricing for safe lockouts start at $65. For more on pricing, and the services we offer, visit our prices page. When you are locked out of your office there is no reason to break a window or cancel a day’s work. The best option is to contact an experienced commercial locksmith and solve the problem with ease and efficiency. 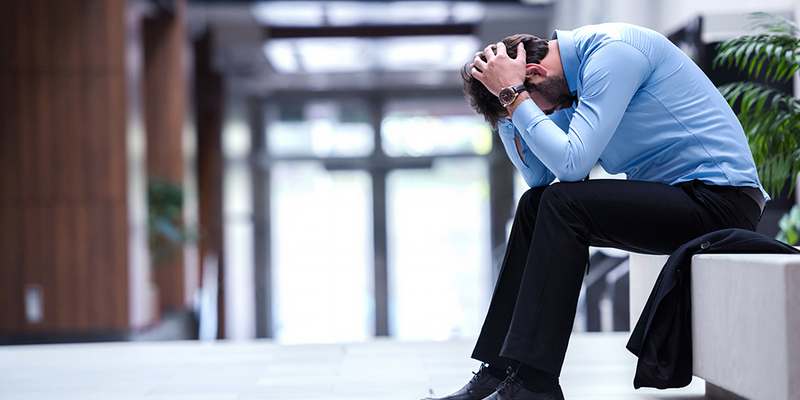 There is no reason to weaken the security of your business unnecessarily. It doesn’t matter if your business is in an industrial building or an office, United Locksmith uses several different methods to make sure we take the path of least resistance and be certain your office is unharmed in the process. Most locks work of a pin and tumbler system, and can usually be picked by and experienced locksmith. The pin and tumbler lock is a common type of lock consisting of a bible (which houses springs and the driver pins), the plug (the part of the lock that will turn with the key), and the key pins (the pins that are touched by the key). The driver pins rest between the bible and the plug of the lock. The driver pins and springs will be a uniform height whereas the keys pins will all be unique in this regard. The key pins have heights that correspond with the grooves of the key, instead of with each other. By placing the key inside the plug, the key pins evenly elevate the driver pins and compress the springs. The driver pins now are set on the shear line, which is the line that separates the plug from the bible. Once the driver pins all reach the shear line the key can turn and the lock is opened. The process of picking such a lock can be quite difficult, but relies on the basic knowledge that the driver pins must be artificially moved to the shear line. This is most often handled with a professional locksmith picking set, with the main tools being a tension wrench and one or two American standard size picks. The tension wrench is placed on the opposite end of where the key’s teeth (grooves that move the key pins) would go. Knowing what way the key turns is not necessary for our trained professionals because the tension wrench can be used to determine what rotation has more give, therefore determining the way to twist. Once the tension wrench is being twisted the correct way, the keyhole is raked a few times (a process of pulling the pick in and out). By raking the lock, some driver pins will be moved properly. Then, starting from the back pin, the commercial locksmith will work their way through all of the pins (most locks having five pins). When the process is complete the tension wrench can turn the plug as if it was the key, and by acting as a key would in slow motion, no harm is done to the lock. Another method of opening a pin and tumbler lock is with the use of a bump key. A bump key works on the similar task of moving the key pins so that the driver pins meet the shear line. Grooves are made in a key blank so that when turned as the key is struck (or bumped) it will temporarily allow the plug to be turned. Again, this method has the tool act as if it were a key and does not harm the lock. If the lock is not simply pin and tumbler (such as a smart key) or is unresponsive to picking and bumping for some other reason, the lock will need to be drilled. The drill is set to the location of the pins and a hole is punctured in the device. The drill will break the pins that hold the lock in place and allow the locksmith open the door with the turn of a screwdriver. It is important not to drill your own locks because novice drilling may result in damage that renders the device unworkable. Examples of these problems are things like drilling past the pins and breaking the bolt of the lock so it does not retract; an accumulation of metal particulates may lock and jam the pins so that they cannot reach the shear line; etc. 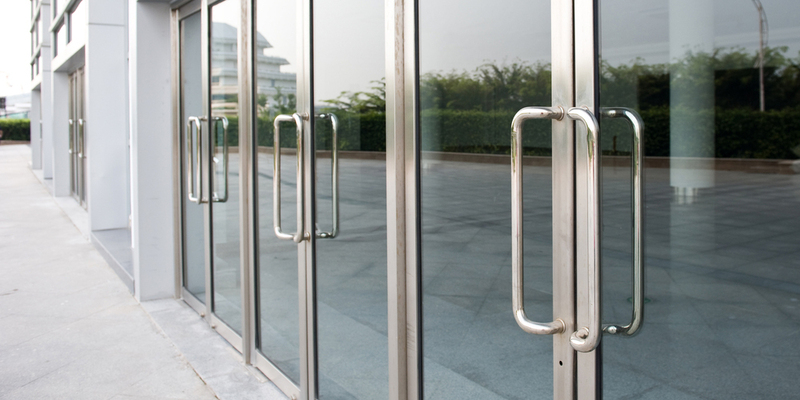 It is safer for your building to have these methods used by an experienced commercial locksmith. In some cases locks do fail or break, and it is important to replace them quickly and correctly in order to protect your office. The first thing that the locksmith will do to instal a new lock is remove the current lock. For deadbolts the apparatus is disassembled by unscrewing, but door knob locks are more complicated. Commercial locksmiths will have other necessary tools for door knob locks, such as a catch tool, a spanner, and a plug follower (sometimes referred to simply as a follower). The catch tool is used to remove the knob or handle from the lock. To do this, the handle or knob must be twisted until the hole in the knob rose (the sheath-like case usually attached to the wall) is seen. The catch tool is place in the hole to release the catch, and the knob and rose can be separated. The rose and spindle (the rod connecting the lock on one side of the door to the other lock on the opposite side) will be removed from the door. The bolt will also be replaced by unscrewing the bolt guard (also known as housing) and removing the bolt. Once this is done, the holes may need to be adjusted depending on the difference of the new or desired lock. The reassembly is a cautious reversal of the disassembly process, with special attention kept to the fitting of the internal mechanisms. With the new lock installed, the business owner can rest easy knowing that their locks will open and close as desired, and keep the building and its contents safe. Everyday locks, such as those found on office mailboxes and cabinets, get a lot of use. The more use a lock gets, the more important it is to have that lock functioning properly. Changing the locks on a mailbox or cabinet is similar to changing the lock on a door, with a few important differences. The largest difference is usually in the mechanics of the lock. Where a door lock usually retracts a bolt to open, the plug of the key in most mailboxes and cabinets is fixed to a bar that rotates with the key turn. 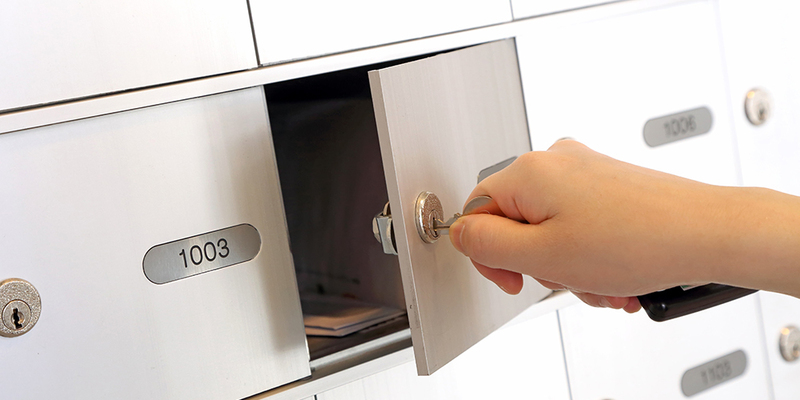 The first step in replacing the lock is to open the locked mailbox or cabinet. For a standard office mailbox there may be an additional key that is held by the manager. If the key has broken in the lock, or is missing, the lock can still be opened (see about business/office lockout above). There will be a pin on the lock either turned facing up or to the side. This pin is removed, most often by hand (there may be a nut that needs to be unfastened), and the lock can be removed from the hole. The new lock is then inserted into the hole and a new pin is placed to keep the lock secure. If the bar that is bolted to the lock is too long to be slid in with the lock, it may need to be unfastened. Once the plug of lock is secured to the bar and the pin (or secondary nut) is replaced, the lock is ready for use. Protecting your business’ valuables is a great idea, but sometimes those same protections can prevent you from accessing the property. In the case of safe lockouts the fear is often that the owner will never be able to get their valuables back, or that the contents might be harmed by the methods of opening the safe. With United Locksmith, the safety and protection of this property is of the utmost importance, and the servicing locksmith will take every precaution to assure that standard of quality. Most safes work off a dial or combination lock system. This form of locking mechanism works, at its most basic level, on a system of tabbed wheels (the group of which is known as a wheel pack) that are moved by rotating the dial. The tabs of the wheels (known as the fence) all connect at a certain point, and when the wheels line up a bar attached to the nose (a metal hook shaped form) drops to unite the wheel pack. Once the bar falls into the fence the nose must catch in the cam (another wheel with a groove that fits the nose), and it is at this point that the safe can be opened. The way the wheels are manipulated with the dial may vary from safe to safe, but this is no issue for an experienced commercial locksmith as it is superfluous to entry. A digital lock works off a bolting system that prevents the safe from being turned without the code. The bolt (when locked) prevents the handle from moving the boltwork (the part of the safe that is moved by the turning of the handle), and keeps the safe secure. The keypad will send an electronic signal to the bolt, if the code is correct, and this will retract the bolt and allow the boltwork to move freely. Safe technology has become very advanced throughout the decades, and in order to open a modern safe, the safe will be compromised. Finding the combination, by traditional safe cracking means, is no longer an option. The process of opening an office safe is made more difficult by their sturdier nature, compared to the common house safe. If there is a key hole on the safe that overrides a combination, there is a chance that the lock can be picked (see about business/office lockout above for more information), but it will most likely need to be drilled. Without a key override, the safe will either need to be wedged, pried, or sawed open. The approach to wedging, prying, and sawing is best left to a profession, so all contents of the safe are not damaged. In most any event, the safe will no longer protect its contents, but your company’s property will be accessible and unharmed by the process. If you need a commercial locksmith we will be happy to send one of our professional technicians.